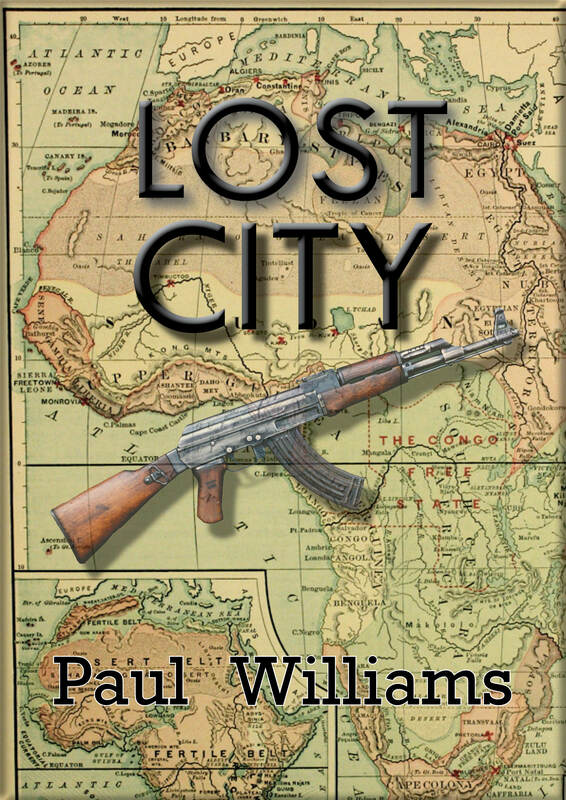 My latest collection of short stories are pieces I have gathered from my experience of living on five continents, of living through war, dictatorships, a religious cult, working with refugees, of losing houses, countries, people and identities. slice of lived experience, but the act of telling transforms it into something else – art. And by art I do not mean ‘Art’ with a capital A, but the skill of crafting, words. The art of losing is also a skill one acquires through failure, betrayal, heartache. to peace, from me to you. Please accept my gift of loss, transformed by art. We are all going to die. We are all going to fail. Life seldom goes as planned. So-called failures are an inevitable reality, yet how we see those failures is everything. We can let life’s unexpected outcomes defeat us, or we can reframe our ideas of failure and live brilliantly fulfilling and less fearful lives. Despite your best efforts and learning from past failures, you have failed to become the success you dreamt of being. You have pasted “Never Give Up” signs on your bathroom mirror and you feel you have been at it 24/7 since you were at school. But after bad luck and a series of unanticipated disasters in this competitive world, you realise that there is the very real possibility that “this is it.” The successful life you have imagined for yourself may never materialise. So now what? We live in a binary world of success and failure. Many of us wouldn’t just think of ourselves as “on the road”—living and facing adversity and making the best of what comes to us. We most often either think of ourselves as successes or as failures. But we’re caught in an illusion. We’re not on a journey to a single successful destination. We’re just on a journey, though we’re taught every day by society to measure our lives against our expectations and the expectations of others. And much of this causes us pain, from the time we set foot in a school classroom, to the time we don’t get the job we interviewed for, to the time we lose all our money on a tumbling stock market. We spend time beating ourselves up about poor decisions, about not succeeding, and we transfer that to our colleagues, our partners, our children. Our mammal brains drive us toward the taste of success. Our so-called “failures” can paralyse us because we are wired to avoid things that cause disappointment. Though bloggers and psychologists rave on about the gifts of failure, it is still essentially a societal negative. The world frowns on us getting things wrong. We are constantly graded and branded according to the evidence of our successes: academic achievement, social standing, the cars we drive, how much money we make. Yet the fabric of failure is an intricate and essential aspect of our existence. New Negatives in Plant Science is a journal that publishes only “negative” results, because the “negative” results are still part of the whole story and belong alongside the “successes.” Big failures often result in side events that aren’t measurable: transformation, shifts in perspective and values—even if the goals themselves are never reached. From doomed explorers to aborted moon landings to novels that were rejected a dozen times, this book looks at failure as an integral part of human existence, and dissolves many of the illusions surrounding failure that we have come to believe. 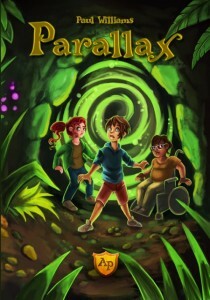 It reveals a new approach to contending with all kinds of failures. One significant problem we face is that we use failure as a blanket term, which can be very confusing because not all failures are created equal. When we talk about failure these days, we lump everything together as if a failed test or business venture has the same value or impact as a failed medical intervention or the failure of an aircraft to arrive at its destination. So for the purpose of clarity, we have divided failure into three broad categories which allows us to look at these so-called failures in new ways. First-degree failures . . .
are the most devastating. These are the failures that result in total disasters and loss of life—for example: planes that fail to make it to their destinations; medical errors that result in someone dying or being irrevocably harmed; failure of an emergency service to arrive on time, resulting in disaster; failure of justice, resulting in the wrong person being convicted of a crime. These failures have irredeemable results. People die; things are damaged beyond repair. We can hardly celebrate these failures or commend the people involved as having failed brilliantly. If we learn anything from them, it is that at all costs we want to prevent similar failures from happening ever again. Second-degree failures . . .
are those where a significant goal is set but not met. For example, the Apollo 13 mission to the moon, which was aborted but did not result in any loss of life, or Ernest Shackleton’s 1914-1916 doomed voyage across Antarctica—all twenty-eight men on the journey lived, though they lost everything and never achieved their goal of crossing the continent. These second-degree failures are the adventurous or scientific journeys where one outcome is expected but another unforeseen one occurs; they are the failures of artists and researchers and writers and anyone trying to create something that has not been created before. Third-degree failures . . .
are the ones we decide are failures. They are distinctly subjective and our responses to them have as much to do with biology and physiology as with the actual failure itself. They are the failed tests, the failure to get into the university course of our choice, the failure to make enough money, or create a successful business, or be a successful writer, or meet specific targets set by our bosses or ourselves. These failures often make us feel terrible about ourselves. We are frequently unable to separate ourselves and our own value from these failures. These failures have parameters that are randomly imposed by us, and the line dividing a so-called “pass” or “success” from failure is drawn whimsically wherever we think to draw it. For example, you may need 33.3 percent to pass an English exam in one school, 40 or 50 percent in another. In Queensland, Australia, the current benchmark for passing the final school-leaving exam is an OP, which is an overall position relative to everyone else who took the exam that year. So if you do well in a year that everyone else does badly, you end up at the top of the pile, but if everyone does well in your year, you slide downward at a rapid speed and may find yourself comfortably in the middle range, with an OP that makes you feel as though you’ve failed. When we set ourselves goals—personal, financial, academic—we unconsciously create a system of potential failures, and so it’s best to understand the risk inherent in aiming for success. Malcolm Gladwell thoroughly points out in his book Outliers that the people, the athletes, the social entrepreneurs, the businessmen who succeed in terms of our material definitions of success in the world do work hard—but in every case he examines, there exists a lucky break, a chance meeting which led to that hard work paying off. And he demonstrates how there are those geniuses who never got the lucky break, still living their unremarkable lives despite their brilliance and hard work. Their incredible ideas and creations never saw the light of day or resulted in material success. It’s a fact: bad luck and twists of fate have prevented many talented human beings from being rewarded for their efforts, either financially or in terms of recognition. Most of us can probably identify with that to some degree. There is an element of chance in every so-called “success,” and those of us who believe that we can achieve anything if we set our minds to it need to understand that life is full of surprises that may make our journey’s outcome entirely unexpected. So what do those of us do who have put in our ten thousand hours towards achieving our goal, and are not adequately rewarded for our efforts? Dealing with these “failures” requires a complete re-think of the concept of failure—and, of course, the concept of success. Life is failure. Our entire 4-billion-year journey through the universe is made up of all kinds of trials and errors. Our lives are full of stumbles and falls and unexpected outcomes which often do not lead to success of any kind. We believe failure falls broadly into three categories. In this book, we explore how these play out in the world, examine the impact of failure on our own lives, and show how we can separate ourselves from a concept that causes unnecessary pain, by providing readers with revolutionary ways of thinking about failure. all second-hand. All that writers can do is juggle them around a bit. 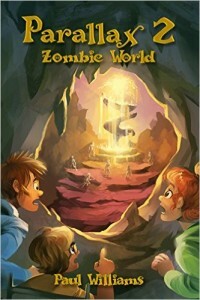 Cokcraco and Other Stories (2011). believers, fervent admirers who live and breathe Bantu, and carry rubber cockroaches in his honour. A formidable recluse, Sizwe Bantu has never appeared in public, has never shown up to claim any of his multiple awards, and does not give interviews. No one knows where he lives, and though his novels are invariably set in the urban and rural thickets of KwaZulu-Natal, they have an allegorical, ahistorical air about them, as if he has never lived there. wish humans dead so we can eat em too. Am Eye white? Am Eye black? Eye wear meye face backwards. Eye will not exist unless you imagine me. novelIst because the novel Is pure “I” conscIousness. Yet who am I wIthout my rainbow skIn, my hIstory, my tradItIon? So close your Is: None but ourselves can free our mInd’s I.
Cockroaches, certainly. 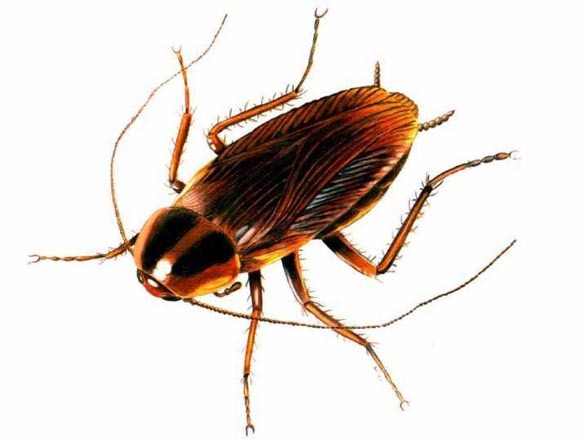 Each chapter is about a cockroach and each cockroach is a motif, symbol, theme for that chapter. About creating art writing art. And its main premise: Art is madness. Art is a malfunction of the brain. From da kokroach point of view, humans are irrelvant. Kokroaches no like em. Doan want em. Do not even tink bout em. Doan care for deh conversations. Books we like to eat, not read. We wish humans dead so we can eat em too. – Sizwe Bantu, The Cockroach Whisperer, 2010. Inspired to travel to Bantu country, Timothy takes up a position at a university near the place rumoured to be the reclusive writer’s residence in the misty Zululand hills. Instead of moving closer to his source of inspiration, Timothy is drawn into a steamy world of campus politics and suppressed desire. As Timothy grapples with the mystery surrounding Makaya, the academic he has replaced, and the demands of his students, particularly the attractive Tracey, he must confront his own paranoia, prejudice and insecurity in a search of the shocking truth. 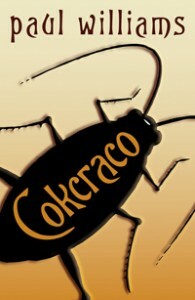 Cokcraco is an exhilarating, playful and witty novel that explores writing, identity, politics and the nature of inspiration. Thank you! 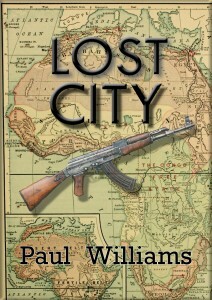 This last month May 2013 more people downloaded and read ‘Lost City’ than in any other month since its publication. Why? I am not sure. Mugabe’s demise is immanent, but always immanent, and this novel touches on his demise. It is also about the general election, and the hope that that always brings.